Features eight layers that work together to provide support, comfort, and durability. Made with combinations of memory foam, gel-infusion, latex, and pocketed coils. Pocketed coil layers feature a foam encasement for added durability and better edge support. The mattress is quick to respond to pressure, minimizing motion transfer. Provides spinal and lumbar support for back and stomach sleepers. Comes with 365 nights of a free trial. Could be a little bit bulky for smaller bedrooms. Break-in period varies from one individual to another. Cal King mattress, measuring 72 x 84 x 15 inches. 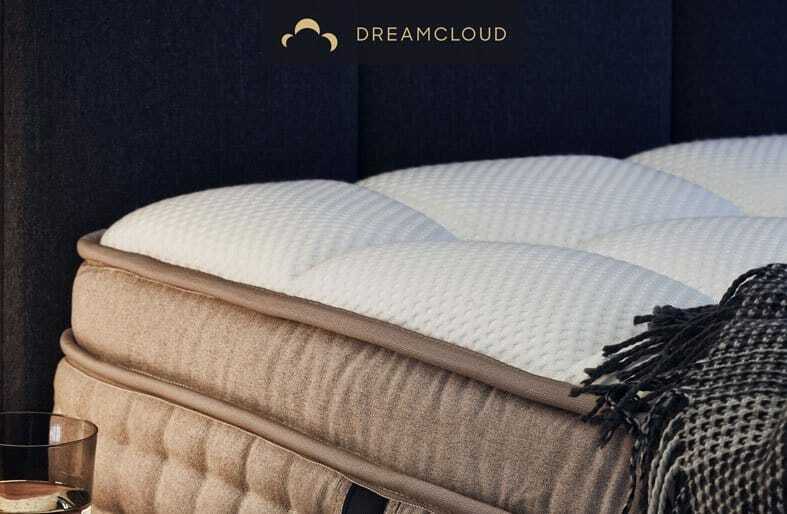 With no less than 15 inches in height, the DreamCloud is a hybrid mattress that combines intelligent memory foam with supportive and sturdy pocketed coils. 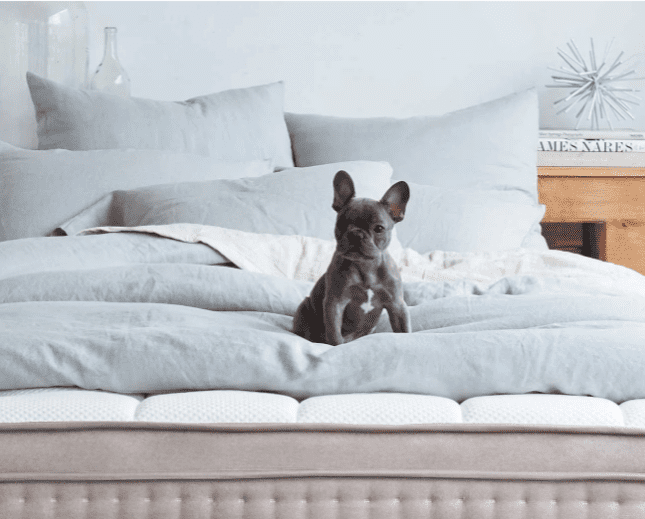 The generous profile of the mattress leaves us pretty excited to talk about the different layers and how they all combine together to give you one helluva mattress. The cover of the DreamCloud is a combination of polyester and cashmere blend that inspires luxury all around. The hand-tufted cover is made through an intricate process that connects the top and bottom of the mattress. This craftsmanship process takes about two hours to complete, adding more durability to the product. From the moment you touch the cover, you can feel the softness of the cashmere, almost making you feel sorry that you’ll have to cover it in bed sheets. Moving downwards, we stumble upon the Euro top layer, which is made from a combination of gel-infused memory foam, quilted memory foam, and latex. Every one of these layers plays a huge part if the overall comfort of the DreamCloud bed. The gel-infusion is meant to cool down some of that excess body heat and prevent the sleeper from sweating above all that memory foam layer combination. The quilted memory foam adds some extra support to this comfort layer, while the latex layer adds bounciness and more cooling to the mattress. That’s because the layer is made with perforated latex, facilitating airflow and dissipating heat. Underneath these thin layers, we find yet another layer of memory foam, which provides additional support and contouring. As we pass through the latex and foam combination, we come across the generous layer of pocketed coils. These are the core of a hybrid mattress that plans on delivering optimal support and durability, while also minimizing motion transfer due to the bounciness of the construction. The BestRest coils that are used in the construction of the DreamCloud mattress are encased in a foam edge that fulfills several roles simultaneously. First off, this foam casign acts as a transition layer between the comforting mix and the actual layer of pocketed coils. Second, it provides additional support and body contouring, because of the high density of the foam. At the base of the DreamCloud mattress lies a block of high-density memory foam that gives the structure its shape and keeps the bottom side of the coil system protected. 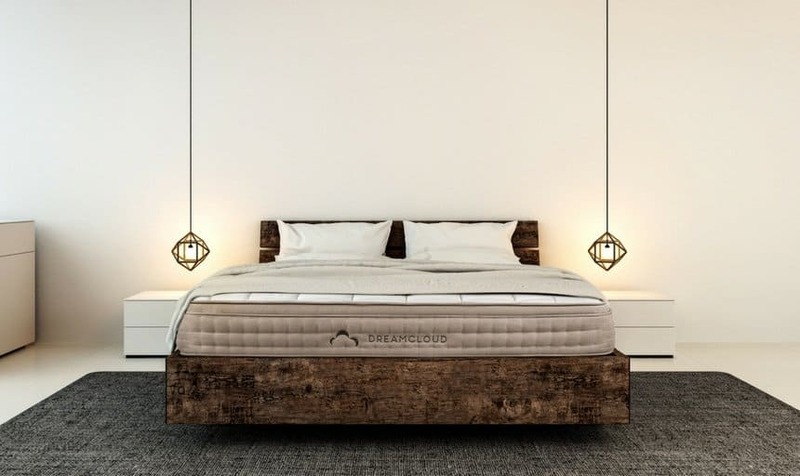 Overall, the DreamCloud mattress provides a magnificent eight layer combination that manages to balance the support your body needs, as well as comfort and durability. 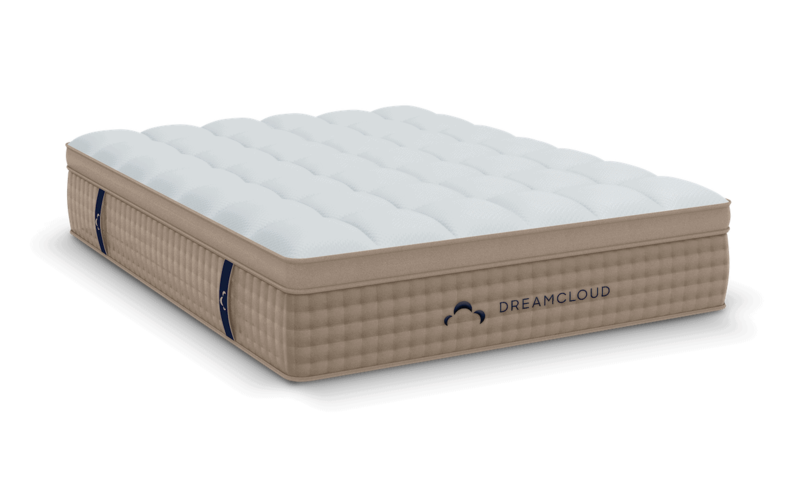 If you’re looking for a firm, yet comfortable mattress, the DreamCloud doesn’t fail to deliver. While firmness and feel are two very subjective chapters, as it’s all about individual weight distribution and preferred sleeping position, we can determine some general characteristics and draw conclusions so you know what to expect. 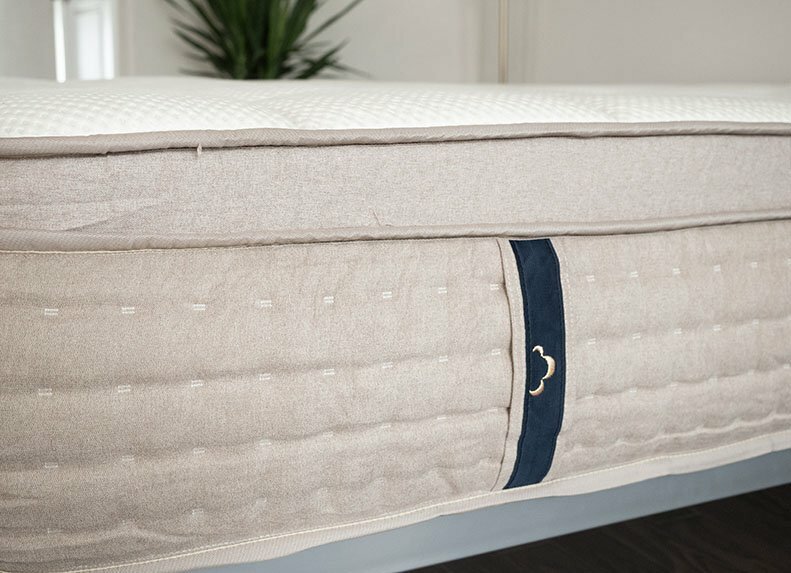 The average rating that resulted from a series of tests has revealed that the DreamCloud mattress is about a 7 – 7.5 on a scale from 1 to 10, meaning that’s it’s above the industry average rating for a medium-firm mattress, which is about a 6.5 But despite it being very firm, the plush top layer provide enough comfort and support for you to feel as if you’re resting on a top-notch bed. So far, so good. But how does it actually FEEL to sleep on the DreamCloud mattress? We can examine this aspect by looking closely at the pressure points that are created in each of the three most common sleeping positions. Let’s assume, for starters, that you are a back sleeper. When resting on your back, you will notice a little bit of plush coming from the Euro top upper layers, but despite those, you still manage to stay on top of the mattress, rather than sinking into it. There are two heroes to this back-lying story: the quilted cover that provides comfort and pressure relief, and the pocketed coils that are responsive and strong enough to support your lower back area. The way you’re going to feel the mattress when you sleep on your side depends on your weight and the pressure created in your hips and shoulders area. The top combination of memory foam and latex layer will give the mattress a little bit of softness, but you may feel slight pressure, indicating that the DreamCloud mattress may not be the optimal choice for side sleepers. However, pressure is still minimal compared to how firm the mattress actually feels, so it could be a viable choice in the end. Stomach sleepers need two things from a mattress: to have their hips pushed upwards and as little pressure in the chest area as possible. Because the DreamCloud is a firm mattress, it doesn’t allow your hips to sink into the surface, which means that your spine is aligned and keep you in a comfortable position. Also, because of the construction on the upper side of the mattress, the top layers are comfortable and soft enough to support your chest, without feeling like you’re lying face down on the floor. Even without any tests, it was clear to us that the construction of the DreamCloud mattress would work efficiently towards isolating motion. When there is a generous layer of pocketed coils inside a hybrid mattress, you can expect the traditional bouncy feeling which is characterized by the quick response that allows easy movement. That means that your movements, instead of creating a ripple effect, will be absorbed by the pocketed coils and the memory foam structure. The fact that the coils are encased in memory foam also helps reduce motion transfer, because they absorb motion. Add the fact that there is no weight limit for the DreamCloud mattress to the equation and you’ve got a really get couple’s bed. Edge support is another important factor that determines whether a mattress is really good enough to be shared with a sleeping partner. No matter the size is chosen, you want to be able to roll over to the edge without having the feeling that you’re going to fall off the bed. As you’re lying on your back close to the edge of the DreamCloud mattress, you will feel a little bit of compression because of the top memory foam layers, but still get the same amount of support you would if you were lying at the center of the bed. As you’re sitting on the edge of the bed, you will notice a lot more compression than you did when you were lying down, but that’s only because there’s a lot more pressure exerted on a narrower area of the mattress. You should still be able to comfortably put on your socks, without sliding off the bed. DreamCloud is surely one of the most generous brands in terms of their return policy and warranty. First off, you get not one, not two, but 365 nights of free trial to test and see if the mattress is indeed what you were looking for. And if that doesn’t convince you that the manufacturer stands behind its product, maybe the lifetime warranty of the DreamCloud mattress will. For the first ten years of ownership, you can get a free mattress replacement if there are any manufacturing defects that compromise the quality and usability of the product. After the first ten years, DreamCloud will repair, recover or replace your mattress. A few words of advice, so you can be able to fully enjoy the benefits of the DreamCloud mattress. Make sure that you place the mattress on a suitable base, preferably a platform bed. Give yourself time to adjust to the mattress. It’s normal for your body to leave impressions in the mattress and, as long as they aren’t greater than 1.5 inches, they are not considered manufacturing defects. 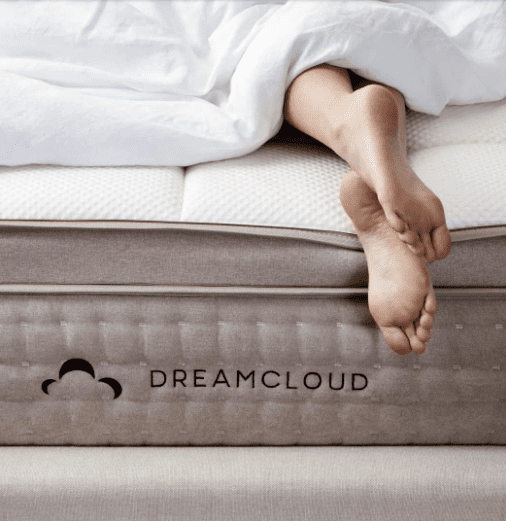 If your current foundation is not suitable to host the DreamCloud mattress or if you want a new bed frame that lives up to the brand’s name, you can purchase your very own DreamCloud foundation with just a couple hundred bucks extra. The foundation features slats that are positioned at a four-inch distance from one another and prevents mattress sagging for extra comfort and durability. The bed frame is made from a combination of natural spruce and solid pine and features optional legs for those looking to get a very specific bed height. Note that the foundation cannot be attached to a foot or headboard. Finding a mattress that’s suitable for everybody size, shape, weight and favorite sleeping position is a tough nut to crack. That’s why every one of these products is suitable for a particular target market (as we’ve come to learn in the past years, the more you try to please everyone, the more you’re going to compromise the quality of your product). So, who is the DreamCloud mattress best suited for? 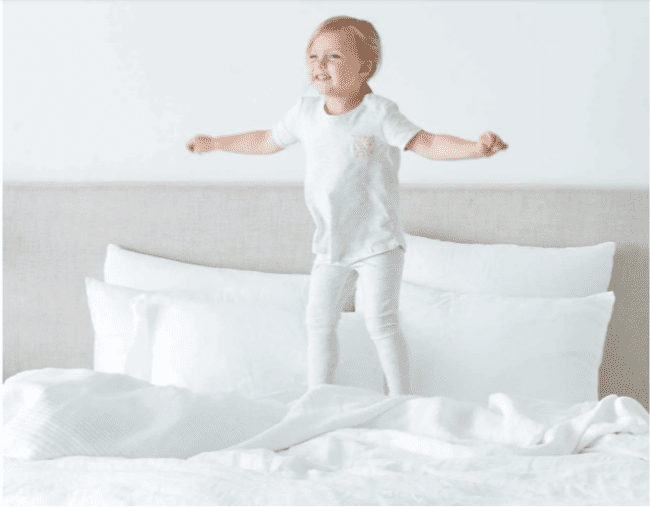 By analyzing the firmness level and the pressure points created by each sleeping position, it’s clear the back and stomach sleepers are the ones who will benefit from this mattress the most. That’s because the firmness of the mattress does a great job in supporting your lumbar region in either of these two positions, while the quilted top adds a bit of plush to the equation. The mattress is also an awesome choice for people who want a hybrid mattress. 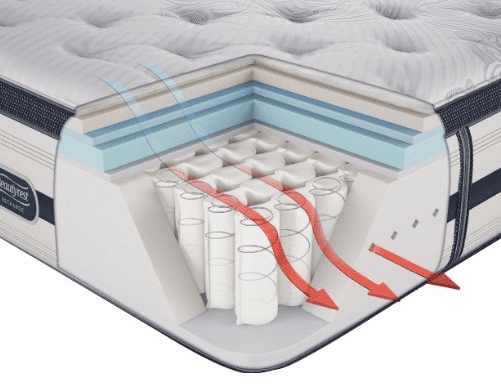 Basically, it eliminates the stress of having to choose one type of mattress over another, because it brings out the best of three worlds: the comfort and plush feeling given by memory foam, the bounciness, and cooling provided by latex and the support and traditional feel of the pocketed coil layer. There’s no doubt that the DreamCloud mattress is a product for people who want a luxurious feel at a good price. Also, because of the superior edge support and the bounciness and quick response of the memory foam and latex layers, the mattress is a great choice for couples who want to share a bed and still feel comfortable with their own movements. We couldn’t argue about the comfort provided by the DreamCloud mattress… and, apparently, customers can’t argue about it either. Customer reviews related to how comfortable the DreamCloud is are basically poetic, using phrases such as “sleeping on marshmallows”, “sleeping on a cloud” or “plush and inviting”. Customers of the DreamCloud mattress who like to sleep on their back confirm that this really is a great choice in terms of back support. The upper layers of memory foam do a great job in filling in the extra space left between your back and the mattress, keeping the spine aligned and the customer happy. Whether you’re happy with the mattress or not, you probably won’t have any complaints regarding the whole delivery system or the customer support. People who have bought the DreamCloud mattress speak highly of the delivery process that even picks up your old mattress, to save you the hassle of having to carry it around and throwing it away. The eight layers DreamCloud mattress has certainly given us a lot to talk about. The combination between pocketed coils, breathable latex, and memory foam contributes towards creating a comfortable and supporting product for people who enjoy a firm mattress. 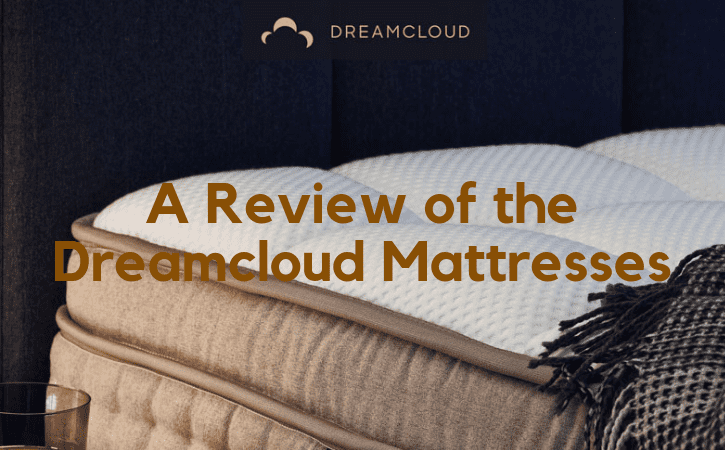 While it may not be the best choice for side sleepers, the DreamCloud does cater to the tastes of most stomach and back sleepers, as the construction is perfect for providing lumbar and lower back support. But even when sleeping on the side, the top layers are comfortable enough to relieve pressure points, but only to some extent. If you spend 80% of your night sleeping on the side, the DreamCloud mattress may not be what you’re looking for. 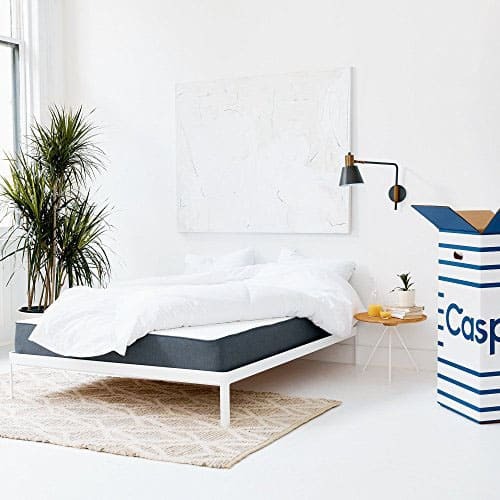 The Casper Mattress Review – The Only Mattress You’ll Ever Need?